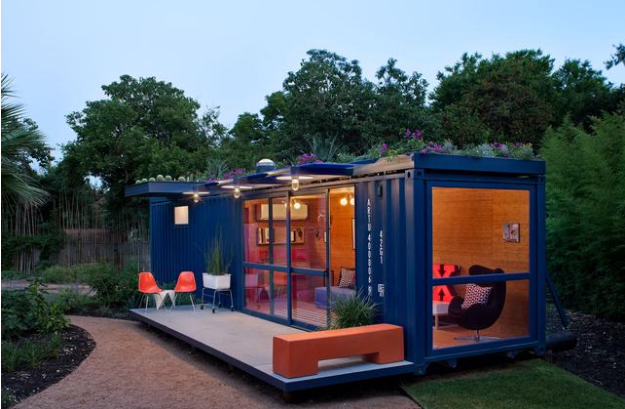 Jim Poteet created this guest house / garden retreat for San Antonio Artist Stacy Hill in 2010. 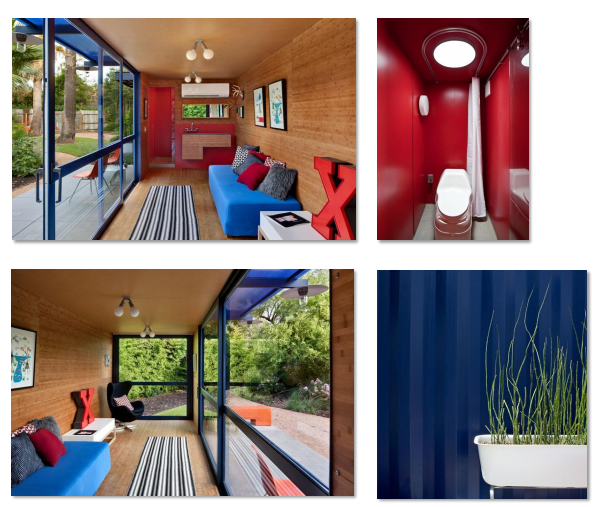 The reclaimed 40 ft Shipping Container features a green roof and composing toilet and bamboo floors and wall paneling. 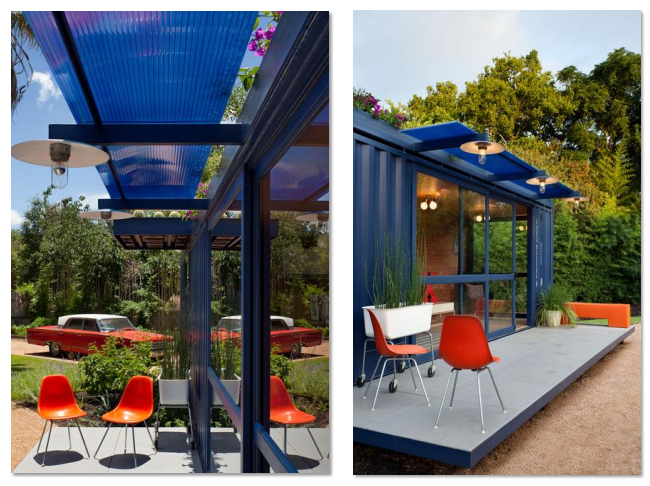 The guest house won a 2010 AIA Award.